Although she could have shied away from the topic, she has chosen to share her story publicly, often blogging about her condition online. In an effort to help other girls who might deal with body issues, she also spoke out against plastic surgery for cosmetic reasons in a Teen Vogue article. For years, Cimino chose not to have surgery to correct her protruding chest. Because it was becoming difficult to breathe, however, she had surgery in March to relieve pressure on her heart and lungs. 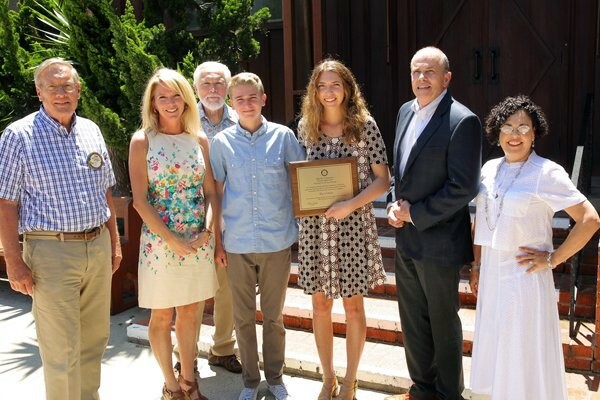 A recent Torrey Pines High School graduate, Cimino recently received the Rotary Club of Del Mar’s Eric Scott Sorensen Service-Above-Self Award. The award is presented to a Torrey Pines student who, though physically challenged, is an inspiration to fellow students because of a positive approach to life and readiness to volunteer, capturing the spirit and principles of Rotary.